Flying Colors – B.Y.O.B Paint Night! We are here to bring art back in the high desert! We provide a safe and family friendly environment that is great for adults and kids alike! 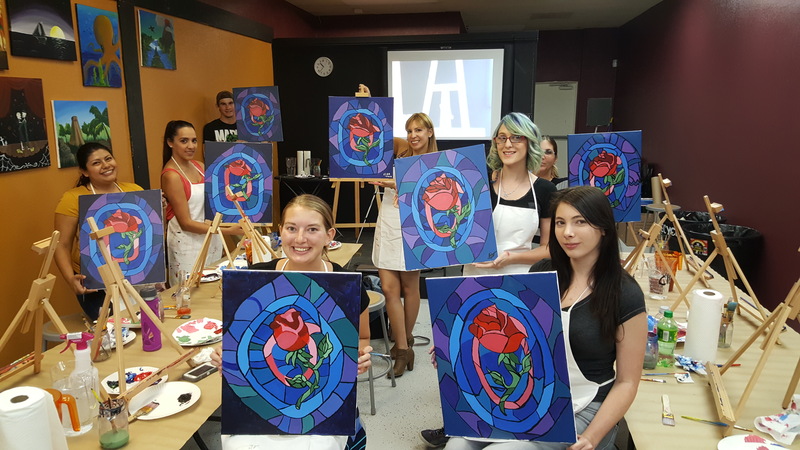 Where else can you learn to paint while sipping on a glass of your favorite wine? No painting experience is required! All of our classes are 100% artist lead! You’ll never fall behind. We provide all painting materials. Starting is simple, find a painting you like on our calendar and give us a call to reserve your seats. We take cash or credit payment at the door. Beer, wine or something with a little more kick! It’s B.Y.O.B over here! 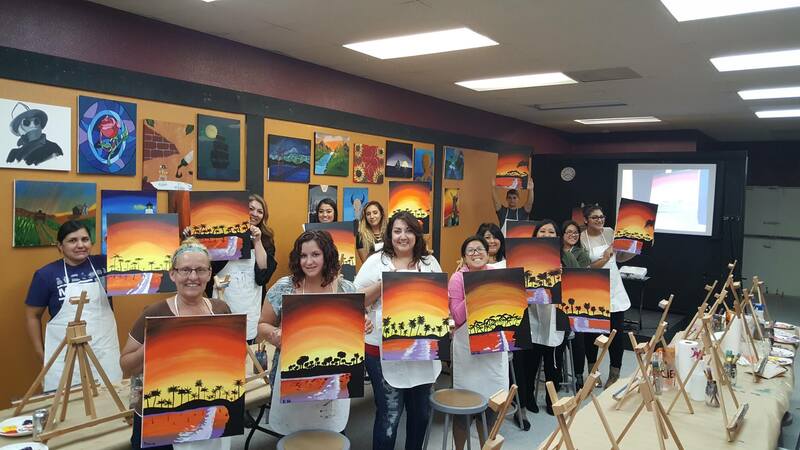 Enjoy a relaxing night out with drinks, laughter and friends all while learning to paint! Whether it’s birthday parties or bachelorette parties we’ve got you covered! We can accommodate up to 34 people comfortably at our studio! 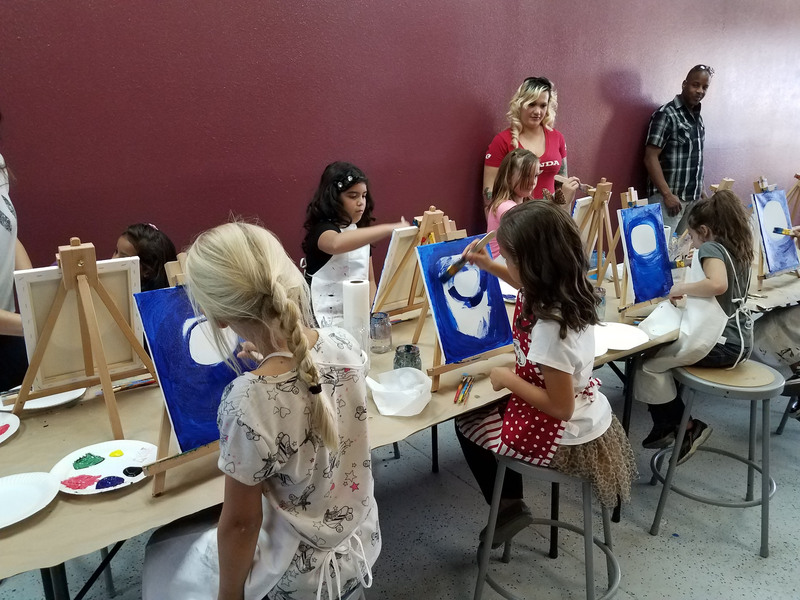 Make your next party a paint party here at Flying Colors! Call now to book reservations! Can’t make it to the studio? Planning an event and want to incorporate a fun activity? We’ll come to you! Call for more details on Off-site events! Can choose a date? We’ve got you covered! Come in and purchase a gift certificate! Good for one full year.